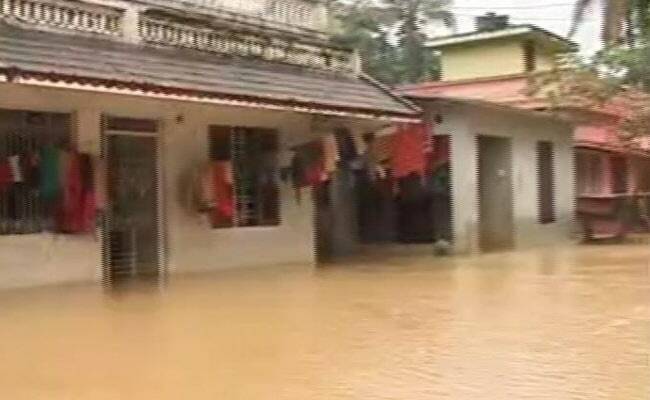 At least 164 people have died in the Kerala floods since August 8th. In a village called Panamaram, in Kerala's Wayanad district, families have been living on the banks of the river Kabini for decades. But this year everybody had to move out as the river quite simply took over the road. After days of heavy rain, water was released from the Banasura Dam and the river just kept swelling until it overflowed its banks - and water swept through the houses. So what do you do when the road in front of your house becomes a river? First, you leave the house with your family. And when you can - struggle back to see what can be salvaged. NDTV met Nooruddin wading from his home. He had been back to try and assess the damage. "We have lost so much. The documents of my children have gone. So many papers have been destroyed. We have lost lakhs worth of property," he said. 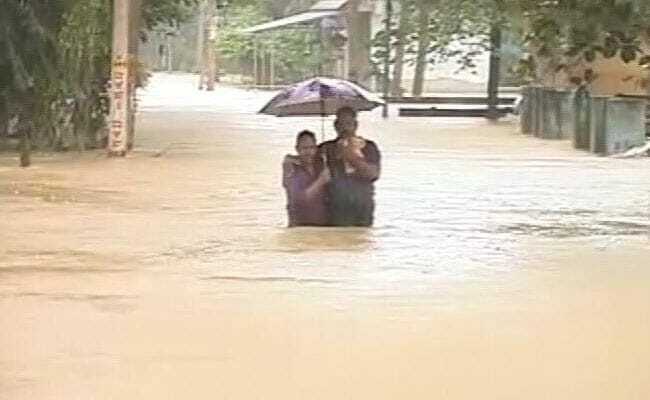 Kerala is an unprecedented crisis, ravaged by torrential rain. Another option, if wading through the water is too hard, is a coracle. Salim was heading to his house on this little boat and we went along with him. We were just metres away from the gushing river Kabini. Salim said, "I am 45 years old and I have never seen this much water. My family has lived here for decades." On the boat, we floated past a half-submerged car, parked outside a flooded home and actually tethered to a coconut tree. It was strange to float past houses in the rain, with clothes that had been hung out to dry, still there outside abandoned homes. And while the houses are empty of people, some are not devoid of life. We saw a cat trying to stay warm and dry. When we inquired about it, we were told that residents made daily trips, either on by boat or wading through the water to make sure the animals left behind had enough to eat. Salim told us he has taken his dogs to the upper floor of his home and made several trips a day to take them food. And for those who have abandoned these homes, there is a long wait for the rain to stop and the water to recede. So that people can see what is left and what is destroyed and begin to pick up their lives once again.